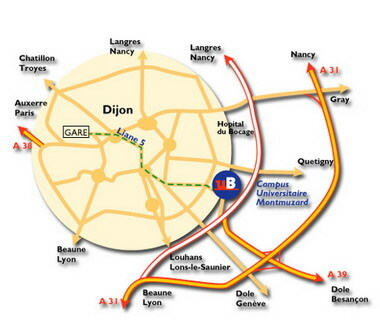 The Dijon campus can be easily accessed from the highway or from the city center. From the train station, take the tramway line T1 and get off at the stop ‘Erasme’ (opposite the Gabriel building). The tram frequency is one every 10 minutes, on average. 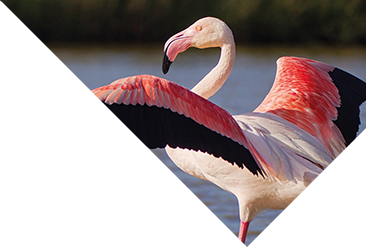 Detailed information can be found on the web site of the Divia company. If you get lost once you are inside the Gabriel building, ask for assistance at the lodge on the ground floor of the central aisle. A detailed map of the campus can be downloaded on this page.